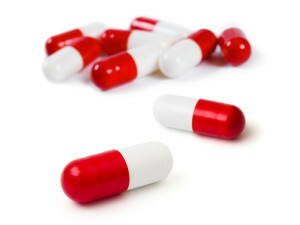 Lipase Review (UPDATED 2019): What Role Does It Play in Weight Loss? Lipase Review: What Role Does It Play in Weight Loss? The most important part of any diet aid product is its formula, and the ingredients that comprise it. People care about what they put inside their body, so you shouldn’t be surprised that everyone who’s looking for a dieting tool wants one made from ingredients from nature, like herbal blends, instead of synthetic ones that could possibly have negative effects on your body’s well-being. While many weight loss supplements contain natural ingredients like Green Tea or super fruits like Raspberry Ketones, others are a means for you to increase the amounts of your body’s enzymes that help produce energy and promote fat elimination. Ingredients such as those in that second category may contain Lipase, one of the enzymes that naturally occurs inside your body and assists in the processes that break down proteins, calories and fats so your body can absorb them through your intestines. By adding more Lipase to your body, it would make sense that you’d be capable of breaking down more fat so that less of it is stored inside your body. This sounds like a sensible dieting tactic, but could it really be that easy? We investigated how Lipase works, and here’s what we were able to find out. Because of its alleged fat-battling properties, Lipase is used as a frequent ingredient in tons of diet supplements, produced and sold by all kinds of different supplement companies. Some supplement companies are less trustworthy than others, so always do research before buying any kind of diet supplement or ingredient. This way you’ll be able to tell if the source that produces it is reliable. Lipase is also frequently sold as a single-ingredient stand-alone weight loss supplement, if you’re opposed to dealing with a product with additional ingredients. Lipase is an essential enzyme, many of which are found in your body. Lipase is responsible for aiding in a process known as hydrolysis. During hydrolysis, Lipase breaks down the fats you ingest so that they can be absorbed through your intestines. The purpose of hydrolysis is to prevent fat from accumulating and to keep the digestive process streamlined and efficient. This also makes it easier for our bodies to absorb the nutritional value that can be obtained from natural fats. Increasing your body’s amount of Lipase sounds like an easy way to improve the way your body manages fat and energy. Unfortunately, it doesn’t look like that’s something you can really do. While you can take supplements that claim to be able to provide your body with extra Lipase, medical experts are in agreement that enzymes that enter the body through digestible supplements like weight loss pills aren’t actually capable of entering and working in your system. Thus, taking supplements that contain Lipase will not actually increase the amount of enzymes in your body. Consult our top 10 list for weight loss supplements with only natural ingredients. Lipase, as well as health products in which it’s used as an ingredient, are frequently known to result in some minor side effects. These side effects include diarrhea, upset stomach, nausea and cramping. Any side effects of Lipase are relatively minor, so if you see it included in a weight loss or health supplement, you do not need to worry about any dangerous adverse effects. The medical community claims that you can’t actually increase the amount of Lipase in your body by ingesting supplements that contain it, so it’s actually ineffective as a weight loss ingredient. There are many better products available for the same amount of money. 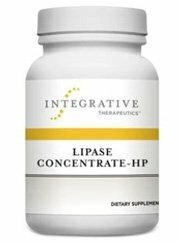 Lipase is a digestive enzyme found in the human body. It plays a central role in hydrolysis, the process by which your body breaks down ingested fats so that they can be absorbed through your intestines. Increasing the amount of Lipase in your body can allegedly quicken this process and result in more fat absorbed into your body and less stored as excess weight. Unfortunately, taking a digestible supplement with Lipase can’t actually increase the amount in your body, at least not according to medical experts. Providing your body with more of the natural enzymes it needs to help it handle fat and energy sounds like a logical way to lose weight. Lipase might actually be an effective weight loss aid if it actually functioned the way it claims to. But according to the medical community, it’s impossible to increase the amount of Lipase in your system just by ingesting a supplement with more of the enzyme. That would mean that Lipase is a completely benign ingredient and won’t actually help you lose weight. 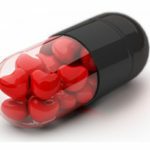 You should look into a more effective and safer diet pill or weight loss supplement.